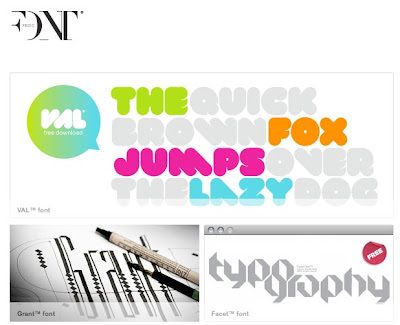 Font Fabric's goal is to create high-quality fonts which stand in a unique class of their own, and which will serve as a good base for any designer project whether it be web, print, t-shirt design, logo etc. Each week they aim to release a new and totally unique font to buy or download free of charge. We like what we see and will keep track on their progress.